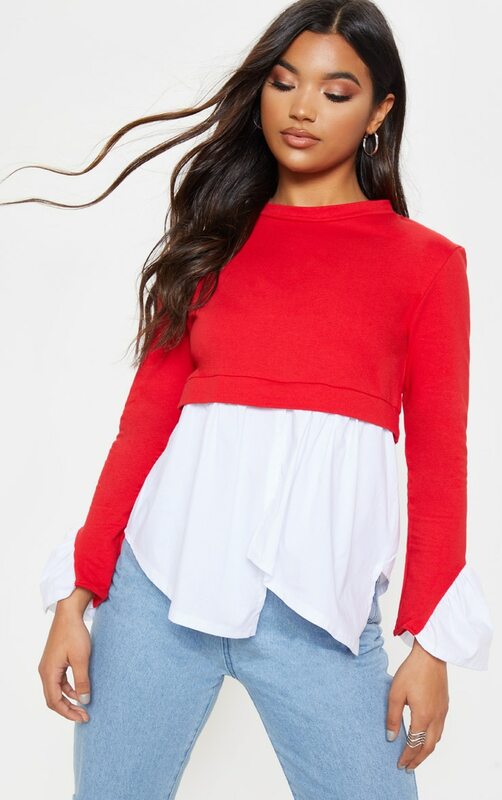 Switch it up and add this bold red peplum sweater to your off duty wardrobe. This foolproof sweater with a layered peplum detail is sure to amp up your look. Wear with blue jeans and chunky trainers to complete your killer off-duty look.